Nutiva Organic Refined Coconut Oil is a superfood and an excellent all-purpose oil great for sauteing, baking, and body care. Coconut is one of the world’s most nourishing superfoods. Unlike other companies that use chemicals, Nutiva Refined Coconut Oil is made though a steam refining process. Absolutely no chemicals are used! The benefit of refined coconut oil is that it has a higher smoke point than virgin coconut oil. You can cook with it at up to 400°F (versus 350°F for virgin coconut oil). It also has a neutral scent and flavor (versus virgin coconut oil which has a distinct coconut smell and flavor). This makes it ideal for recipes where a coconut flavor is not desired. 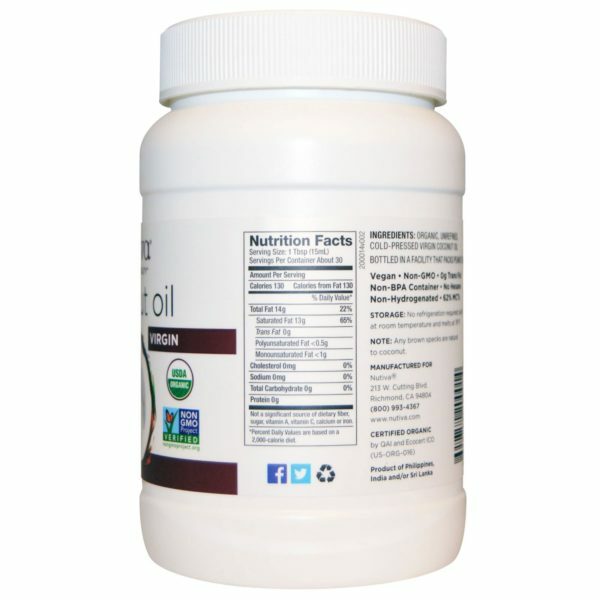 Refined Coconut Oil and Virgin Coconut Oil have the same benefits of 63% Medium Chain Triglycerides and 50% Lauric Acid. 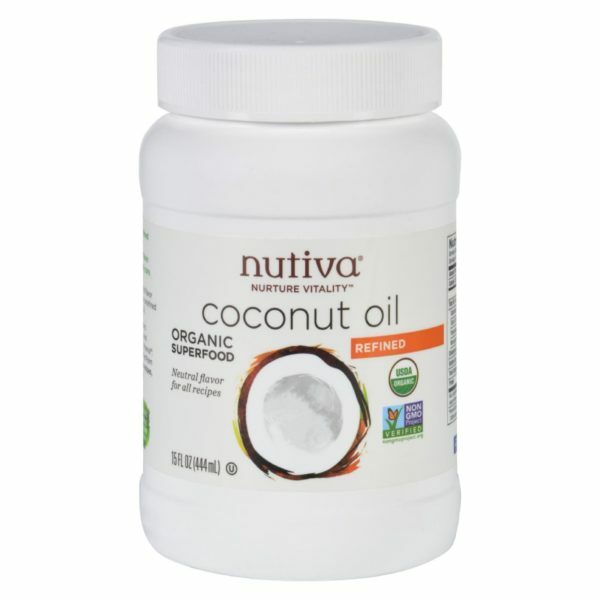 Storage: There is no need to refrigerate Nutiva Organic Virgin Coconut Oil. It’s best to store it at room temperature out of direct sunlight.